Website packages for those interested in a Pre-Priced website. We develop successful website packages of various categories: E-Commerce, Corporate, Personal, Real Estate, Photography, Social Network and more. Some of these may fit what you are looking for. This can help you save time on getting what you want. 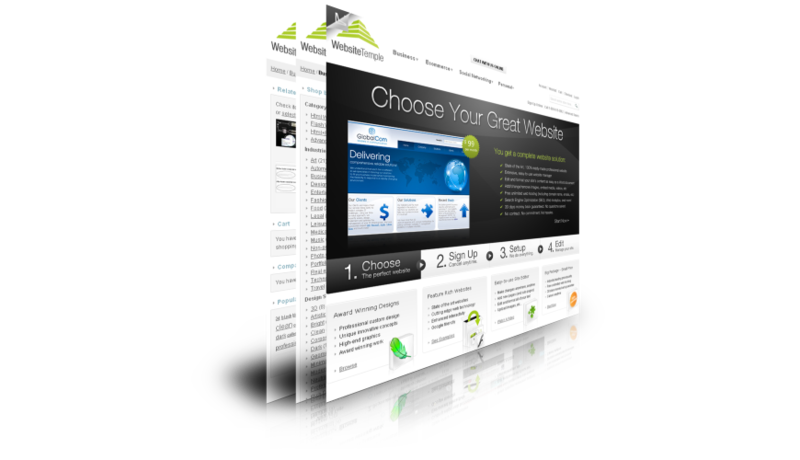 All Websites are customized to your likings and needs (Esp. Color Scheme, Layout). You can receive an additional discount on our website packages if you have one of our Discount Coupon Codes. If none of our packages below fit the type of website you desire or budget, you can easily fillout our secure Price Quote Form for a quote on a project. We offer Free Financing, via PayPal’s Bill Me Later®. Interested in purchasing our website package, but don’t have the money? Now you can get it Instantly with Free Financing. Get up to 6 months special financing. No Payments and No Interest if paid in full in 6 months on purchases of $99 or more. PayPal will pay the entire bill for you.